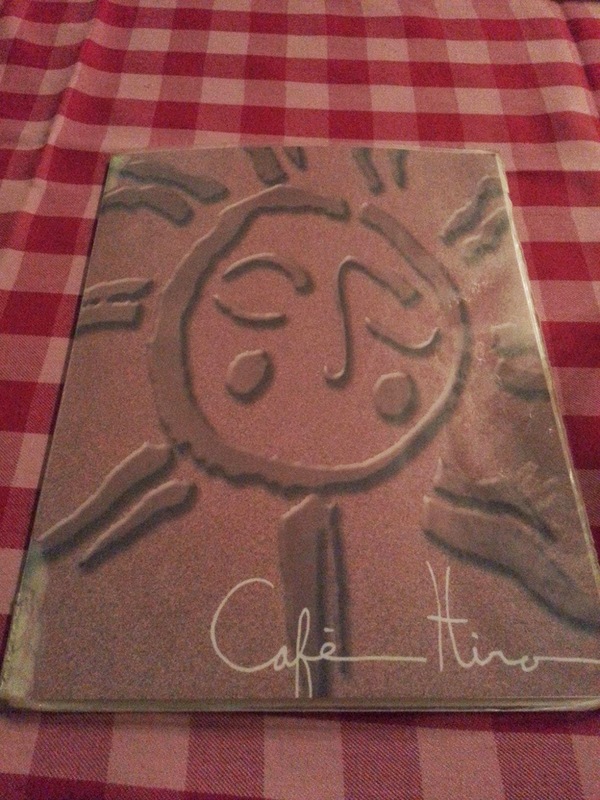 JAPANESE PASTA @ CAFE HIRO - CYPRESS - EAT WITH HOP! 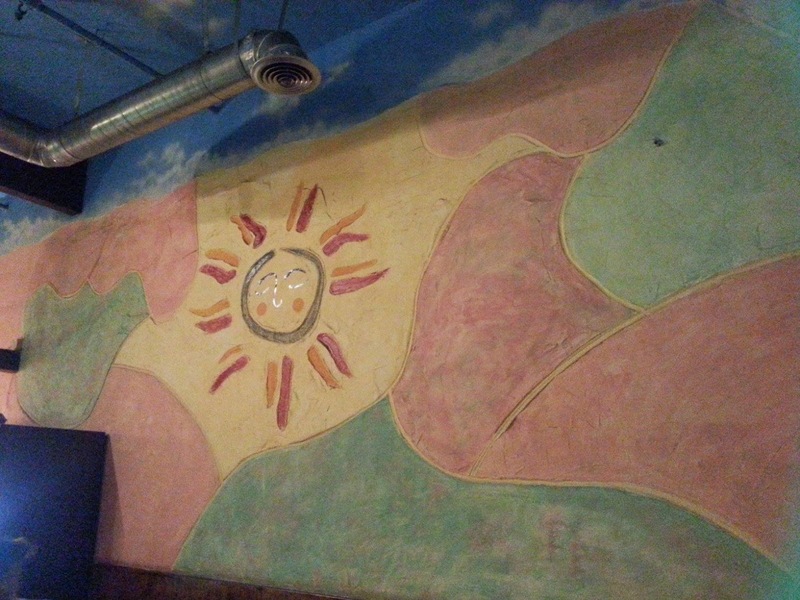 Their ceilings and walls have cute artwork! OMG! DID I ACCIDENTALLY DELETE THIS POST?! I WAS SEARCHING IT TO SHOW A FRIEND AND COULDN'T FIND IT... SO NOW I'M REWRITING THIS POST. Last month I had a dire craving for mentaiko pasta. I discovered this type of pasta (spicy cod roe) while living in Japan! 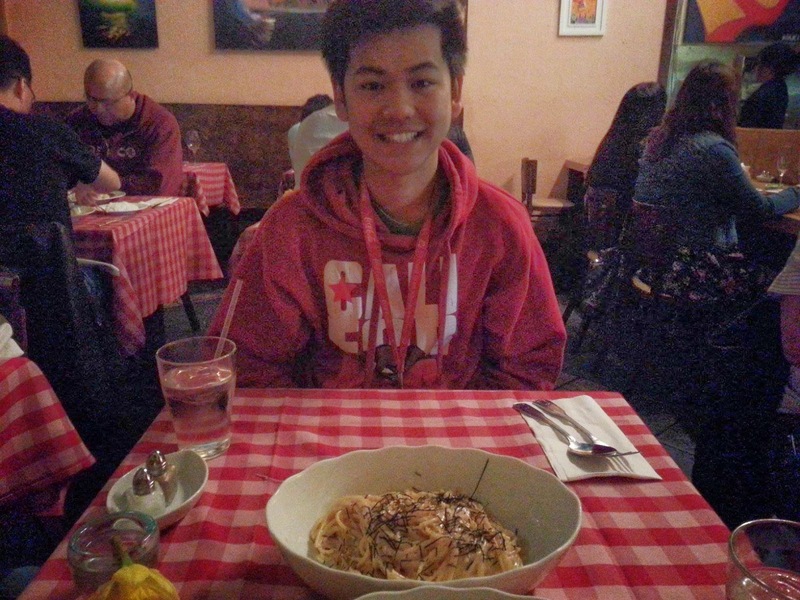 It became one of my favorite pastas and I was suffering from withdrawal symptoms after moving back to Socal. 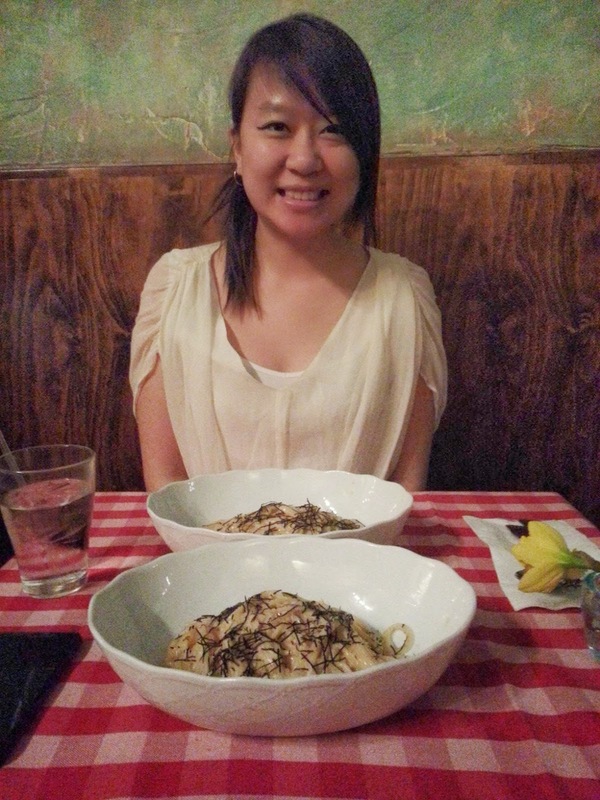 Because of California's diverse community (especially in food), I was confident that I would be able to find a restaurant that serves this type of pasta! And, indeed I did. 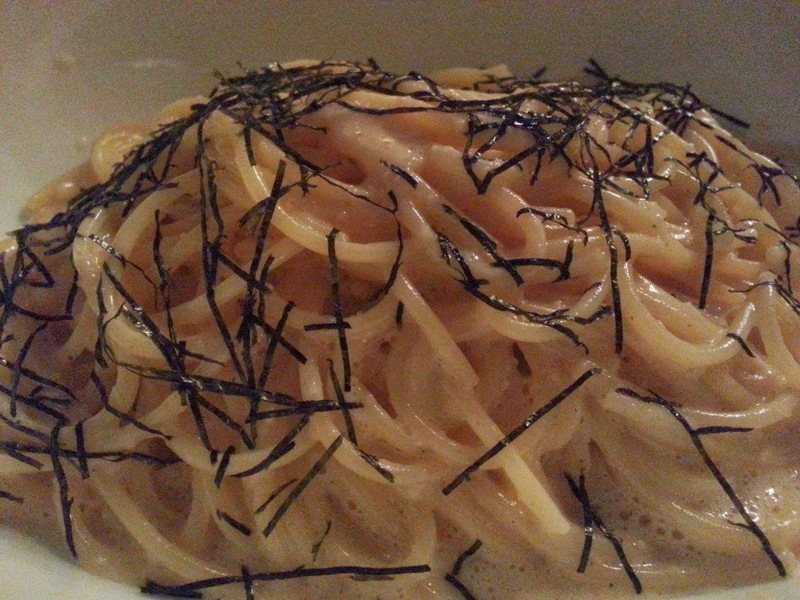 There are several restaurants that serve Japanese style pasta IN TORRANCE. That is waaaaaaaay too far from me because I live around Disneyland (about 1 hour drive or worse with traffic). 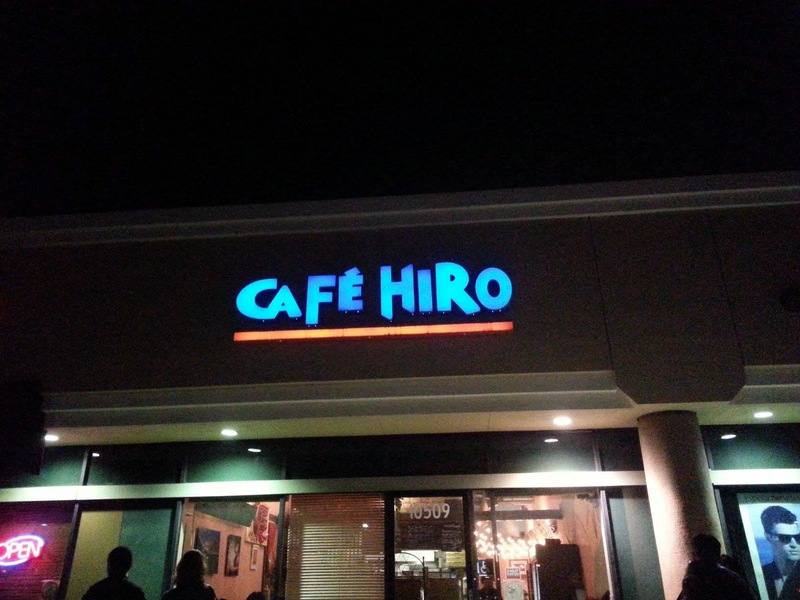 Luckily though, there is a restaurant that I found called CAFE HIRO that is near Cypress Community College. This place is perfect! It's not that far and it's near some awesome dessert places in Cypress (frostbites, flurries, etc.). 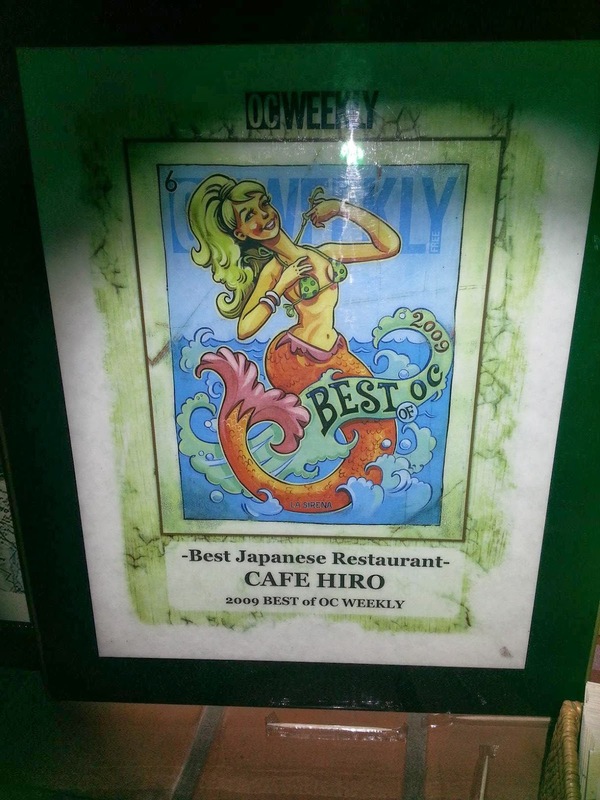 My boyfriend and I visited this restaurant about an hour before it closed. I didn't think to make any reservation, but when we arrived, I realized it would have been smart to make a reservation because this place was packed! I had no idea how popular this place was!! We ended up waiting for about 15-20 minutes because there no-shows (luck us!). As we sat down, my eyes were captured by the interesting art decor that they have around their entire restaurant. 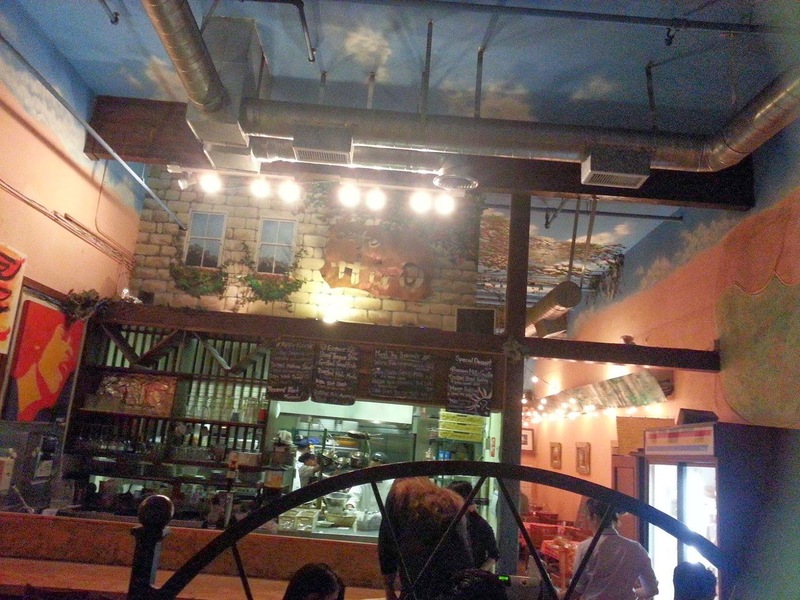 The art on the ceiling and walls were very very cute! Their menu was a bit misleading though. They need to update those! 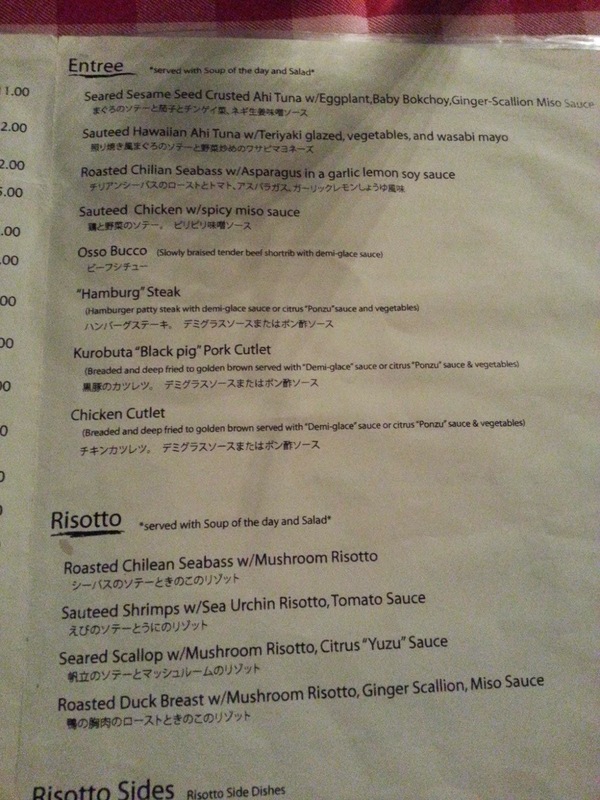 I was looking for mentaiko pasta but did not see it on the menu at all on Kevin's version. On my menu (they were different...maybe a new updated and old version?) the mentaiko was written in Japanese (thank god I can read the kanji!) and in English it was labeled as Spicy Caviar Pasta. However...IT WAS CROSSED OUT! I was really confused as to why it was crossed out. 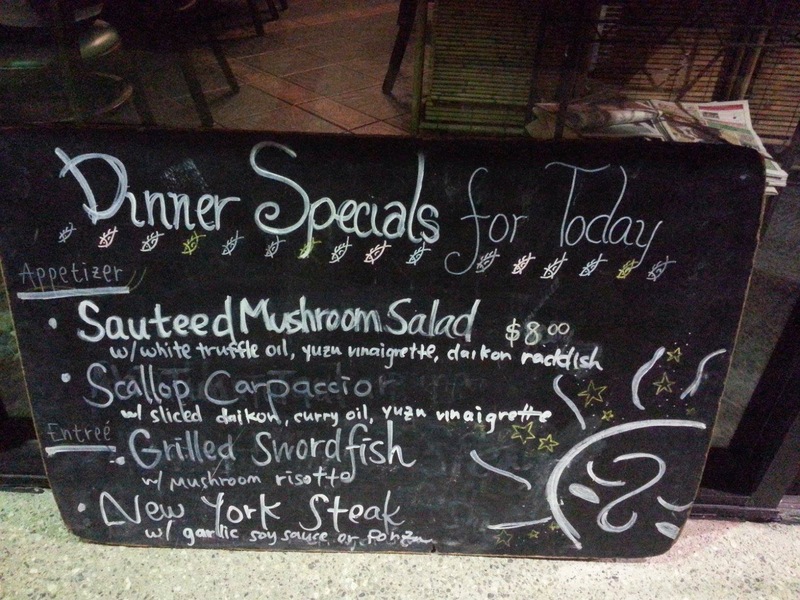 They have a chalkboard menu on their wall with SPICY CAVIAR written under limited time special. 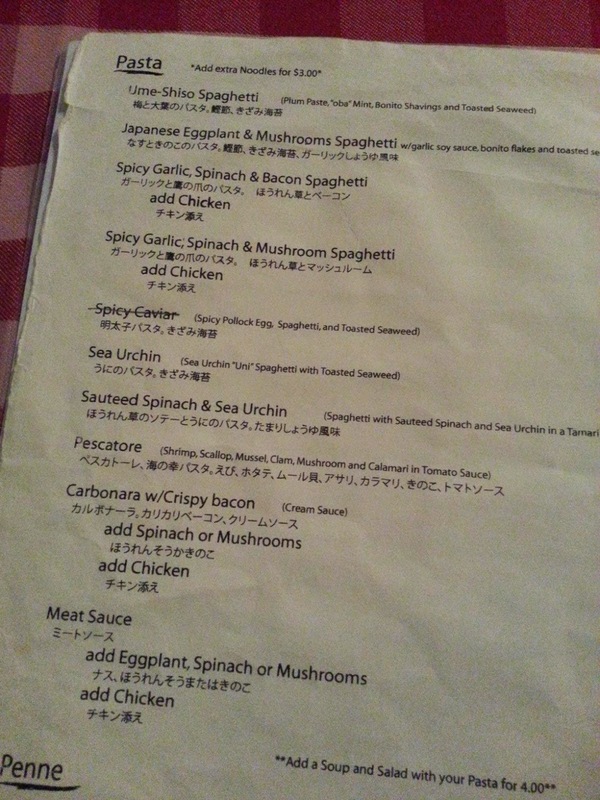 Even though this confused me a bit, I decided to just order it with the Japanese name when the waittress asked. You should call in to reserve just in case! The Spicy Caviar Pasta was delicious! I wish there was more sauce though!